Cedefop’s thematic country review (TCR) on apprenticeships in Italy has reached an advanced stage. Its focus, as agreed by the Italian project steering committee in 2015, is apprenticeship at upper-secondary level for young people aged 15-25, known as 'type1 apprenticeship'. This apprenticeship type has never been widely used since its introduction in 2003, despite many legal reforms supporting its diffusion (latest reform in December 2015). On 14th December 2016, a round table with social partners representatives took place in Rome. The goal was to discuss possible policy recommendations and policy or practice oriented solutions to move apprenticeship type 1 from a mainly episodic, occasional type of education and training to a systematic one. 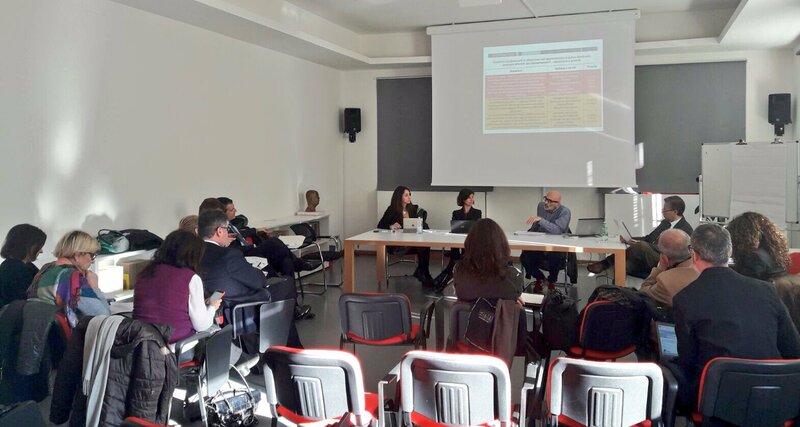 A group of representatives of trade unions (CGIL, UIL) and employers' organisations (CONFINDUSTRIA, CONFCOMMERCIO, ABI, CONFARTIGIANATO, CNA) gathered. The meeting was chaired by Cedefop’s Antonio Ranieri, Head of Department for Learning and Employability, and Cedefop experts Lisa Rustico and Ramona David who are leading the project for Cedefop. the need to create programming and co-ordination structures, bringing together all relevant stakeholders. In the coming weeks Cedefop is going to further discuss with relevant stakeholders the ideas collected during the round table. The end of the project is foreseen for April 2017. A final report, containing solutions and recommendations, will be published before the end of next year.